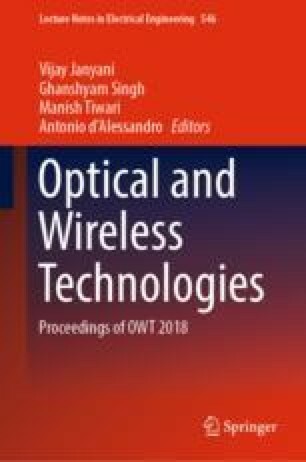 This paper investigates the implementation of infrared (IR) free-space optical (FSO) communication to enhance the data transmission capacity to aerial platforms. As such, the study introduces a geometrical model of establishing an FSO link between a base station (BS) and an unmanned surveillance aerial vehicle (USAV) drifting along an inclined straight track using the Gaussian beam theory. The analytical analysis along with the MATLAB simulation envisages that the optimum received power required to ensure FSO link availability along the track depends on the track inclination angle, separation distance between BS-USAV and the source beam divergence angle for covering the track. Based on the received power, the error rate performance of the OOK-FSO system is illustrated for data rates ranging from 100 to 300 Mbps and is observed to improve with a reduction in the beam coverage length. Finally, the link budget analysis is incorporated for gauging the theoretical power limited link range of BS-USAV FSO system in different weather conditions. Based on the analytical study, the proposed system model can enact continual FSO communication between BS and USAV moving over an inclined straight track. This research work is supported and sponsored by the RESPOND ISRO program.